In conjunction with KENS Apothecary 5th Flagship Boutique grand opening at The Gardens Mall, the multi-brand grooming and beauty store is collaborating with local paper flower artisan DH Artful Décor for a series of hantaran (Malay wedding gifts), presented in a modern, minimalistic way that will strike a chord with young, modern couples. KENS Apothecary The Gardens Mall is located at Lot F-206B, First Floor, The Gardens Mall, Mid Valley City. This is its most comprehensive store to date, KENS apothecary with 15 brands in its stable, where customers can find everything from make-up for facial care to skincare. As a customer-centric store, there is a designated gift wrapping station for special purchases and a By Terry private make-up room for those who requires privacy. The Flagship Boutique will also be a space for workshops and events. A lot of thought was put into the architecture of the store, with a large marble table at its centre. The Italian imported tiles are by Marca Corona with lighting from New Zealand’s Douglas and Bec. 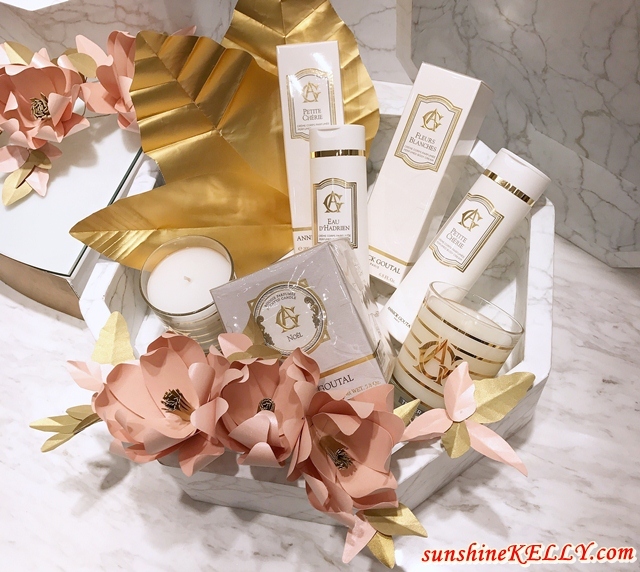 With the collaboration with DH Artful Décor you will have the option to select beautiful flower arrangements from the Kamelia & Cempaka Collection line, complete with a selection of perfumes, skin care and scented candle products from luxury brands such as By Terry, Diptyque and Annick Goutal. The Kamelia & Cempaka Collection are inspired by the Goddesses of Greek and Roman mythology – strong warriors yet gentle, soft, pure, innocent and compassionate at heart. Both Kamelia & Cempaka Collections are tailor-made and hand-crafted according to the wedding theme, with marble-printed finishing. I am interested to drop by and check out the many brands that they carry. Luckily they are located very strategically for an out of towner like myself. The store looks very inviting and clean. Hehe. And yes, we need more great gift-wrapping services at malls. Aww. I love their hantaran decoration. Very lain daripada yang lain. Actually can give to the mother sempena dengan Mother's Day too.